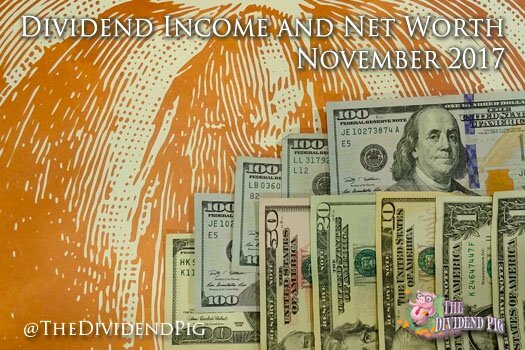 Yikes, I’m really behind this month with my dividend income and net worth report. It’s been a crazy 3 weeks where I have spent more time out of my office or home then in. A nice change to be sure, but certainly not the most productive. November has been a month of shattering records. Not necessarily blowing through any dividend income records (that will happen next month), but I surpassed my yearly dividend income goal… a month early! And, I recorded a gigantic monthly percent increase. This month I received $582.02 in dividend income. On average, I received $24.25 paychecks from 24 fantastic companies. There truly aren’t many things sweeter than getting paid real money for doing nothing other than making smart decisions. This is a 229.57% increase over November 2016! November’s income covers all of my utilities for the month! Here is a chart of my dividend income progress over the last 3 years. Getting so close to joining the club! Certainly not a pretty month when it comes to cash. My wife’s surgery bills finally came due. We spent almost $4,000 on her hospital and doctor bills this month! I’m thankful that we had insurance as a the total bill for the surgery came out to a bit more than $110,000! A ridiculous amount of money for a surgery that lasted only a few hours and a hospital stay of only 23 hours! Anyway, insurance definitely made the surgery affordable. Big news! We are in the process of selling rental property #1. We had a lot of showings and received a few offers. After going back and forth a bit, we finally accepted one just a few thousand off asking! This is a very big deal for us as we will use the money to pay off our primary home mortgage! This will free-up a lot of money monthly. That new found monthly cash will be put to work in the market! I’m very excited as we are getting much closer to our goal of retiring in just a few years. Rental property #2 (which I guess will soon become rental property #1) is still paying on time and without issue! Best kind of tenants to have! Every month dividend income pays for a larger percentage of my bills. The pace of growth this year has been phenomenal and I hope it can continue to for the next few years until I retire. I must continue to find the best deals I can in the market and put money to work. 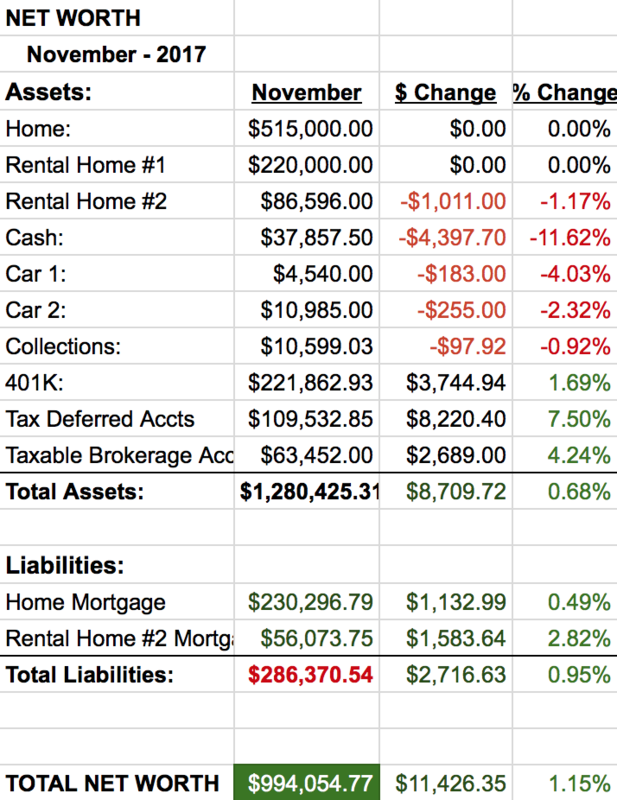 Eliminating my mortgage will play a huge role in reducing my costs which will enable me to afford early retirement – living off my dividend & rental income cash flow. Just need to keep my head down and keep plowing away for a few more years! nice work getting a free 35000 vacation. Thanks Ted! It was an amazing trip at a super amazing value! Nice progress all around, DP. Congrats on the rental sale and primary mortgage payoff plans. Only a matter of time before smashing through that $1M NW mark. Thank you Engineering! I’m really looking forward to getting rid of that stupid mortgage! Its been a long-term goal to get out of debt… completely. The market seems to be doing all the work with regards to breaking through that 1M mark. Looks like things are going great in your neck of the woods as well, congrats!